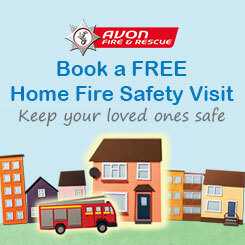 Any personal information obtained for the purpose of carrying out fire safety activities will only be used for this purpose unless other legislation dictates or further processing is necessary for the performance of a task carried out in the public interest or for Avon Fire Authority to exercise its official duty as a public function. In the event of any investigation of fraud or other criminal activity, the Authority has a duty to disclose personal data to the relevant authorities and/or external providers (such as legal representatives) appointed by the Authority. Any personal information obtained for this process will be either provided by the individual themselves, from the organisation subject to the business safety activity or from other legitimate sources. Any written correspondence that is sent in relation to business safety activities will signpost to the addressee where they can obtain a copy of this Privacy Notice and related policies. Any personal information will be held electronically against the premises ID on our Community Fire Risk Management Information System (CFRMIS). The retention of this data will be dictated by the reason for its use, such as audits and inspections for up to 10 years (in line with good practice), or once the information is no longer relevant for purpose, such as change in details for responsible person, change of use for premises or the premises are subject to a new audit. Prohibitions and enforcements will remain on our records and on the NFCC website until they are complied with or lifted, they will then remain for 3 years. Any personal data held for the purpose of Simple Cautions will be retained by the Authority for 6 years in line with the Authorised Professional Practice (APP) management of police information guidelines and Criminal Procedure & Investigations Act (CPIA). Any personal information held in emails, letters or other paper files will be scanned into the above system against the premises ID and paper copy securely shredded. All information security controls, document retention and practices are as per the associated AF&RS policies. Any other organisations involved in the business fire safety process, to include (but is not limited to) Councils, surveyors, architects, solicitors, Law Enforcement bodies, Licencing bodies and other agencies. National Fire Chiefs Council (NFCC) website for the publishing of the Authority’s public register. Please refer to their website for their own Privacy Notice. The individual has the right of access to what personal information we may hold for our business fire safety activities by contacting the AF&RS Data Protection team. In some circumstances, individuals who are subject to legal proceedings are unable to exercise all of their information rights, such as objection to processing and data erasure. The information held by AF&RS is not eligible for data portability or subject to automatic processing.